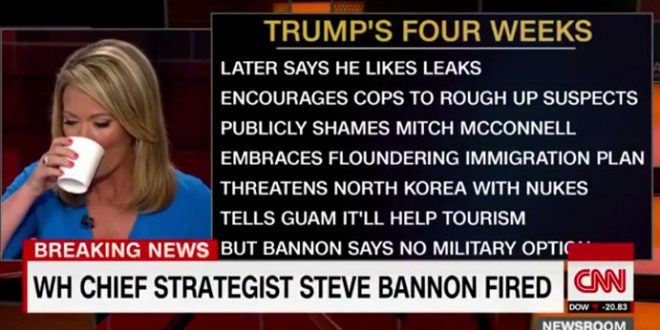 CNN Scrolls The Knife After Bannon's Ouster [VIDEO] - Joe.My.God. Donald Trump’s chief “fake news” target took some understandable satisfaction in the shitcanning of Steve Bannon this afternoon with a lengthy scrolling of the many White House disasters of just the last few weeks, name-checking The Mooch, Reince Priebus, the Boy Scouts, Mexico’s president, the Nazi rally, and so much more. Watch as host Brooke Baldwin is “forced” to pause during the recitation to have a drink of water. You’ll enjoy this.